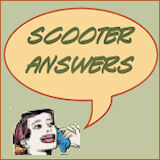 On this page, you'll find our scooter questions archives, containing questions that past visitors to the site have asked concerning buying a motor scooter. 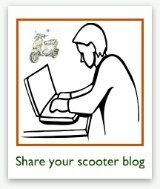 What do I need to know or get when getting a scooter? What is the best scooter for a low budget? What scooter would you take to college? What should I check out when buying a used Yamaha Zuma 50cc scooter? 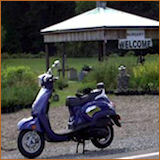 I am looking at a 2007 Yamaha Zuma 50cc scooter. What should I pay particular attention to when checking out the scooter? What is a good scooter brand for the 250cc and over class? Would a Suzuki Burgman 650 or a 2011 TMax scooter be better for me? I weigh 350 lbs. and am a woman. Which scooter is better for my needs? The Suzuki Burgman or the TMax? Belt drive or gear drive? Would a Genuine Roughhouse scooter be the right 50cc scooter for us as a couple? My eyes are too big for my stomach, can someone help me decide on a scooter? What is the best 50cc scooter? Should I get a 2009 Adly Jet 50 OR 2003 Honda Elite 80? 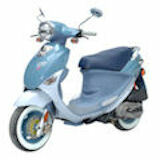 Where can I buy a Kymco 250cc in Hawaii? I am interested in buying a new Kymco 250cc scooter. 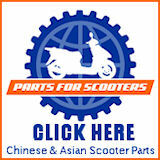 Does anyone here have any ideas on who sells Kymco 250cc scooters in Hawaii?... Thanks! How can I identify this scooter? I'm going to be a first time buyer and driver of a scooter for city use any suggestions? I want to buy a scooter. What kind should I get? Can anyone tell me the model of a Scooter based solely on a VIN? Can you recommend scooters for short legs? What scooters can accommodate 390 pounds? My son weighs 390 lbs. Is there a scooter that is sturdy enough for his weight? Am I Being Too Cautious or Am I Just Plain Dumb? Can I Negotiate With Scooter Dealers? How Do I Transport My Scooter Home From the Dealer? Am I Tall Enough to Ride a Scooter? I am 4 ft 11 in tall and have difficulty fitting most cars. Is this likely to be a problem when selecting a scooter (150cc or greater)? Thanks. How Can I Convince My Father to Buy Me a Scooter? 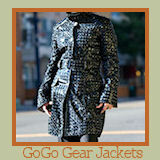 Does Anyone Know of Classes in Cleveland, OH Area? What Scooter Would You Recommend? How Hard Is it to Move Up to a Larger Scooter?